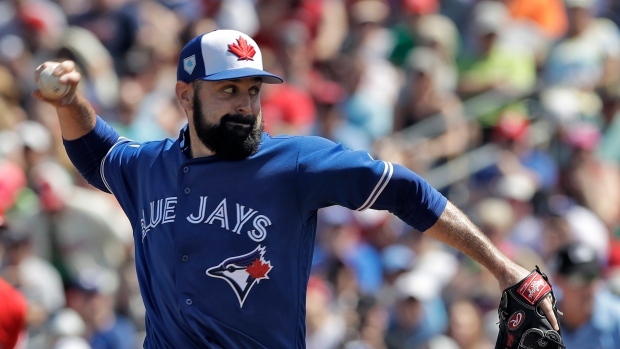 Blue Jays starting pitcher Matt Shoemaker stretched out to five innings as Toronto lost 8-7 to the Atlanta Braves in pre-season action on Wednesday. Slotted in at No. 2 in the rotation, Shoemaker struck out seven, walked two and gave up three hits and three runs on the day. Blue Jays outfielders Kevin Pillar and Teoscar Hernandez hit home runs. Hernandez is hitting .410 for the spring. The Braves roughed up Blue Jays reliever Elvis Luciano for five runs (two unearned) in the sixth. The Blue Jays travel to nearby Clearwater, Fla., on Thursday to face the Philadelphia Phillies.